SPERRY TOSPIDER. YG55362. BIG KIDS SALTWATER DUCK BOOT. 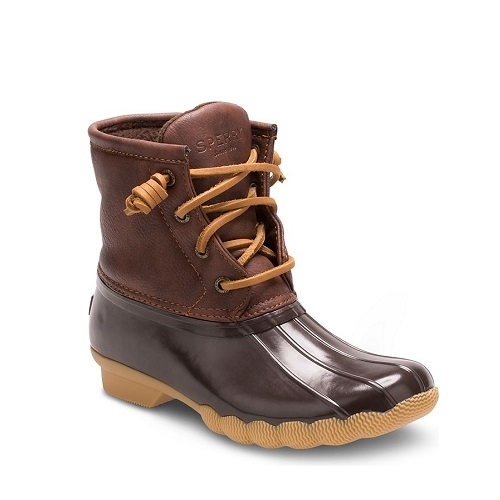 BROWN.Embrace the elements in Sperry s all-new wet weather boots. With rawhide lacing for a secure fit and the ultimate in wet dry traction this versatile boot not only looks like mom s but is made especially for little feet.